Today, the number one threat to U.S. soldiers isn’t hand-to-hand combat, accidents or friendly fire – it’s suicide. 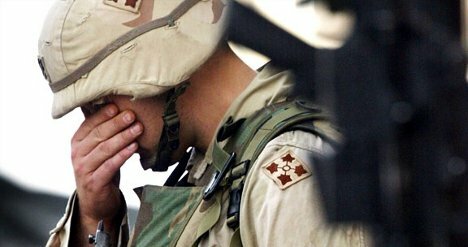 The Army reports that an average of one soldier per day takes his or her own life, a staggering number in this relatively small sub-population. 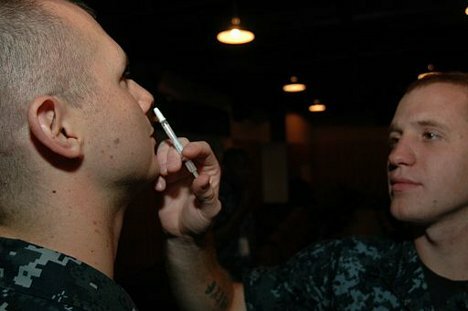 Whether these deaths are the result of PTSD or some other underlying psychological problems, the military wants to put a stop to it in a rather novel – and kind of scary – way: by developing a nasal spray that will prevent suicides. The Army has given a $3 million grant to researchers developing the spray, which could be a sign of just how serious this problem is. The spray will release the neurochemical thyrotropin-releasing hormone (TRH), which causes a calm and euphoric feeling that could stave off suicidal thoughts. Pills and intramuscular injections don’t allow the chemical to reach the brain where it is needed, so until now spinal cord injections have been the only way to deliver it to the body. But researchers at the Indiana University School of Medicine believe that delivering it to the nasal cavity could be the secret. They stress that the spray is not a substitute for antidepressants and other depression treatment, but meant to be used in the critical period between the time someone starts taking an antidepressant and the time it starts working. See more in Weird Science or under Science. August, 2012.